Stanton Ross Pace is a sculptor and wood carver with experience in landscape and three dimensional design. He lives in Oklahoma with his family, which includes great danes, chickens, horses, and his best friend Bowser, the bear, (as well as his wife and grown children). You can learn more about Stanton Pace by reading articles here in our News posts. You can also view Pace’s fine art pieces here in the Sculpture Gallery, and visit the Contact page to get in touch, or find him on Facebook. This website is under construction. 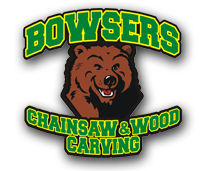 Coming soon: pages featuring carvings and commissions; relief work; live carving events such as the recent event in Shawnee; a gallery of works in progress; and a page devoted to Bowser and his fans. Enter your email address to receive notifications of new press via email. Copyright 2016 Stanton Pace. All Rights Reserved.